It is now easier than ever to add a burst of color and creativity to your craft project! Introducing the Pom Pom & Tassel Maker kit from Boye. 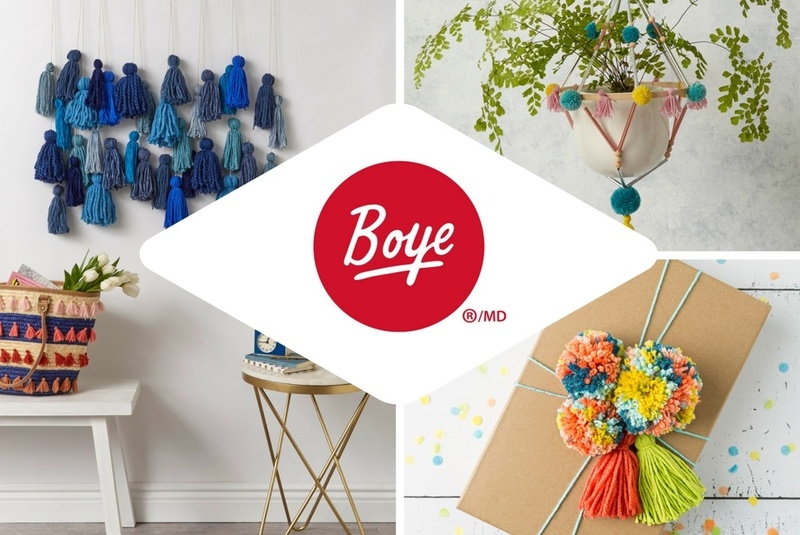 Founded in 1906, Boye has been providing quality products to yarn crafters for over a century. The Pom Pom & Tassel Maker is just one of the many products uniquely designed by Boye to make crafting fun, easy, and stress-free. With tools to make 10 sizes of pom poms (ranging from ¾” to 6”) and 11 sizes of tassels (ranging from 1 ¼” to 6 ¼”), the all in one Pom Pom and Tassel Maker kit has everything you need to easily create or beautifully adorn any craft project. Tryazon will select 250 hosts for this opportunity. Those chosen will receive a party pack with a Boye Pom Pom & Tassel Maker kit, and more! Learn more about the products and party by clicking the tabs below! Part of the Simplicity Creative Group, Boye is committed to creating high quality products that are fun and simple to use, to promoting artistic expression, and to encouraging personal creativity. Boye was established in 1906 when James H. Boye, along with two other entrepreneurs within the sewing industry, launched an innovative new product known as the “Rotary Case” which was designed to contain and organize sewing needles and supplies. From there, the company expanded into other parts and accessories, and is now regarded as the leader in knitting and crochet implements as well as tools and supplies for trending yarn crafts like looms, pom poms, tassels, weaving and more. Use #tryazon and #pompomparty to include your tweet on this page! The fun begins at the end of October, when parties will be hosted! Tryazon will select up to 250 hosts for this party.